The loss of sight is a devasting blow for any dog. Sadly, some pups are also blind from birth. There are many conditions that can trigger the loss of sight in a dog and the process can be gradual or very sudden. You will need to provide a great deal of support to help your dog make the transition to their new lifestyle. They need to learn how to interpret the world using only their taste, smell, hearing and sense of touch. It is perfectly possible for a blind dog to live a long and contented life as long you provide the necessary environment and enrichment activities. Blind dog products are a big part of this but you need to choose wisely. To help you out, here are our suggestions for the best toys for blind dogs. There’s plenty to stimulate the senses of hearing, smell and touch in these interactive puppy toys that are suitable for dogs of all ages. It is available as a ball or bone shape and in three sizes. The medium size suits dogs who are between 20 pounds and 50 pounds in weight. It’s made from natural latex and will bounce and float. The unique foam technology gives the toy a soft and flexible feel that dogs love yet it is durable enough to withstand a lot of rough play. There is a squeaker inside the toy to stimulate the hearing of dogs who have poor eyesight. It also has an attractive bacon smell which dogs find irresistible and which makes it easy for them to track it down if they cannot see it. Dogs love the unpredictability of this durable toy. It’s available as a bone, dumbbell, ring, stick or ball shape. You can get it in a small, medium or large shape. Each of the toys has a squeaker that is recessed so your dog will not be able to get at it. They can be used inside or outside and have a clever way of bouncing in an unpredictable way that keeps dogs fascinated. All of the designs are textured to provide a stimulating chewing experience and they are available in a variety of vibrant colors that can be spotted by dogs with failing eyesight. This is an interactive vinyl toy that focuses on movement and sound and is therefore suitable for blind dogs. It is completely safe and is free from phthalates. It has a round ball-shaped design but has six clutch pockets which make it easy for a dog that cannot see to pick it up. The main feature of the toy is the noise that it can emit. There are several tubes that emit a variety of sounds depending on how the ball is thrown around. This is done entirely through the movement of air and no squeaker or batteries are required. It can make giggling and burping noises that will keep your pooch amused for hours. This ball is designed especially for dogs and is available in four sizes to suit all breeds and ages. It is very durable and has a grooved surface that dogs love to feel in their mouths. It has twenty sounds and phrases such as ‘Come here puppy’ to give your dog plenty of stimulation. The power is provided by replaceable batteries and it turns on automatically when it is touched or moved. To conserve the batteries, it also turns off automatically when your dog stops playing with it. You can provide hours of fun with this durable ball toy that is available in a variety of sizes and can be purchased as a pack of two. It is compatible with a ball launcher but you have to purchase that separately. It has plenty of features that will appeal to dogs with sight issues including an attractive texture. The durable rubber will last for ages. Also, it makes a whistling sound as it flies through the air thanks to the four sound holes. No batteries are required. Made from extremely durable Zogoflex material, this tough toy can withstand hours of biting and chewing. It has a recess in the middle where you can hide tasty treats that give off an alluring odor. Try things like kibble, jerky strips or bully sticks which will last a lot longer when cleverly hidden within this toy. You can also use your own healthy snacks such as apple slices and carrot sticks. This toy will stimulate blind dogs by appealing to their sense of smell and taste. It also provides hours of mental stimulation and challenges them. When they are finished, you can pop it in the dishwasher to keep it clean and ready for the next playtime. A plush, furry toy with an interesting texture to attract dogs with sight issues. You can purchase one that is shaped like a frog, chicken or parrot. It is powered by three 1.5 volt batteries. When the toy is pressed in the right way, a voice is activated and repeats phrases to amuse your pooch. It is easy for dogs to grab hold of the toy and carry it around. This toy provides plenty of stimulation and is made from natural rubber which is non-toxic. There are no seams which could split or fray so it is both durable and safe. It will stand up to hours of chewing and provides long-lasting stimulation. Inside the rubber exterior, there is a plastic lining which emits a crunching noise when it is compressed to provide further stimulation for blind dogs. There are several holes on the surfaces of these cool dog toys which make them easy to grab hold of. Three sixes are available to suit all breeds of dog. A durable, textured TPR rubber interactive dog toy which will provide great exercise for the jaws and stimulate your pooch for hours. The surface has a series of raised bumps that they can explore with their mouth and tongue. This is truly a sensory ball and it offers something for all the senses so dogs who cannot see will still have a lot of fun with it. The sound is provided by both a bell and a squeaker that are activated when the ball is squeezed or moved around. There is an attractive beef scent that will help dogs with poor eyesight to find the toy. It also has a delicious beef taste that dogs love. There’s plenty to attract and entertain your pooch with these balls for blind dogs. They can provide hours of entertainment for a blind dog because the main sense that it stimulates is the hearing. It enters a sleep mode when it is not touched but as soon as your pooch nudges it, it wakes up and emits a series of animal noises. 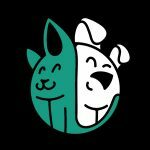 You and your pooch can expect everything from chirps to croaks and, of course, plenty of barking noises. It is powered by replaceable batteries and has a durable construction to withstand the attention of even the most determined dog. The noises last long enough for a blind dog to track it down when it rolls away. When a previously sighted dog becomes blind, they have to make major adjustments to the way that they gain information about the world and how they interact with it. The visual information about their home and the people in it are gone and this can leave them both fearful and confused. There is often a period of transition during which your pooch can appear depressed. They are actually doing a lot at this time! They are learning to use all their other senses to create a map in their minds about their environment as their sense of smell, touch, taste and hearing become more important to them. The best toys for blind dogs help with this transition and can then continue to keep your blind dog amused. Of course, there are hundreds of different dog toys to choose from but here are some features that can be especially helpful. If a toy feels good in a dog’s mouth, they will be happy to play with it for hours. Toys that have an interesting texture and/or shape are therefore best so try to choose something with bumps or grooves. Toys that have several pockets are easier for your dog to get their mouth around and pick up. All dogs are guided by their sense of taste but it is even more important for blind dogs. Many toys are manufactured with an attractive taste such as beef or bacon. This will keep your dog engaged with the toy for a longer period of time. The biggest barrier that blind dogs face when playing with a toy is finding that toy in the first place because they cannot see it. It can also roll away from them or they can toss it in the air and then struggle to find it again. Toys that have a strong odor can be very helpful because dogs have a keen sense of smell and can locate them easily. You can play a game of ‘find the scent’ by hiding the toy behind your back or close by for your pooch to sniff out. Sound is another good way of ensuring that your dog can find the toy but it also keeps them engaged when they are playing. 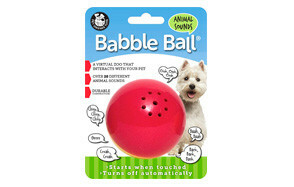 Toys that reward your dog with a human voice or an animal noise are very popular. Some are powered by replaceable batteries but if you are not keen on this there are several that require no batteries at all. They rely on air traveling through some specially designed holes to make an amusing noise that dogs love. For some dogs, it helps if the noises continue for a while after the toy becomes still because it helps with locating the toy. No-one wants a toy that lasts for five minutes and then falls apart. This is not only annoying but, it is also dangerous for a blind dog as they could choke or injure themselves on the small fragments. Some breeds have stronger jaws and teeth than others so it is advisable to read the reviews and go for the heavy duty dog toys. Dog puzzle toys that have recesses where you can hide a favorite treat always go down well. Your pooch needs your support and encouragement to get used to their new life. Toys for blind dogs can play an important role in training them how to make sense of the world without their sight. Here are some of the main benefits of using toys for blind dogs. Boredom can be a real problem for blind dogs who cannot run around the house or a yard in the way that sighted dogs can. Playtime with interactive dog toys will provide the mental stimulation that they need. It is very common for a blind dog to lose confidence. It will take time for them to accept that the world can still be both safe and fun. For pups that are born blind, toys can help them to grow in confidence alongside their sighted siblings. Pups that have no sight still require training and need to learn to adapt their behavior to meet acceptable norms. Structured playtime with appropriate toys is a great way of doing this. It can be used as a reward for good behavior. Your blind dog will greatly value their relationship with you and playing with appropriate toys together will go a long way towards bonding. Games that you can work on together such as tug of war and scented fetch are especially useful. There are risks involved in playing games with a blind dog because they cannot see your hands. Playing together helps your pooch to learn to be careful about where they are biting and this keeps you and them safe and happy. Bear in mind that blind dogs can take longer than sighted dogs to get used to playing games. They can be hesitant and you may need to spend some time teaching them how to play. Choosing appropriate toys is vitally important. At first, the world can seem very overwhelming to a blind dog. Your role is to provide reassurance and comfort and to make sure that she feels loved and safe. You also need to take steps to help your pooch regain their confidence and to feel empowered. This will involve teaching them new skills and fun activities can be very useful for this. Here are a few ideas. Limit the environment that your dog has access to. You can use pens or gates to keep your dog in a small area that is safe and that they can soon get to know. Provide plenty of toys and entertainment to stop them from getting bored. Gradually increase this area as their confidence grows and continue to use enrichment activities that your pooch can seek out and play with. Push and pull games. Choose a longer, plush toy that has room for your hand and your dog’s mouth. Move it around at their level and drag it across their paws. Encourage them to explore toys with their mouths by pushing and pulling them. Tug of war. This is a stimulating and fun game for blind dogs. Just make sure that your hand is kept away from their mouth because they cannot see it and therefore cannot avoid it. Short and slow walks. There is no reason for a blind dog to not enjoy a walk. They will appreciate the sounds, smells and tastes and feel of the wind on their fur. Just keep the walks slow and short and repeat the same routes so they become familiar. Some owners find that a harness is better than a collar and leash. Massage and touch. Lots of cuddles and petting are very comforting for blind dogs. It lets them know that you are still there for them. If they seem to panic when they don’t know where you are, you could try continually talking to them as you move around the house. Hide and seek. As you are talking to your dog, try hiding a short distance away and allow them to find you. Give them a lot of praise when they do. You have to do this at their pace and make sure that there are no hazards that could hurt them. Fetch with scents. Clearly, the traditional game of fetch is not appropriate but you can adapt the game so that your dog retrieves a scented object. Any object can be made to smell delicious by adding a treat that gives off a strong odor. Treadmill. This is a fun and safe way for your pooch to get some exercise with no danger of bumping into anything and hurting themselves. There are special canine treadmills available but you can also train your dog to use a regular, human treadmill. Just make sure that you start off very slowly and build up gradually. Q: How Can I Encourage My Blind Dog to Play with Toys? A: Dogs that become blind gradually have time to make the adjustment but dogs that lose their sight overnight have a bigger challenge. You will need to step in and teach them how to play with the toys. You can start by moving the toy around at your dog’s level and perhaps brushing it across their paws. Limit playtime to an enclosed, safe area using barriers or a pen. This will make sure that your dog can pursue and seek out the toy using their other senses without danger of hurting themselves. Be patient and let your dog adjust gradually. Q: What kind of toys are safe for my blind dog? A: Stimulating dog toys for blind dogs need to be safe for them to play with and the environment in which they are playing needs to be free from hazards and preferably enclosed. It is important that the toy is durable and is capable of standing up to a lot of chewing. If it contains a bell, squeaker or batteries, these must be hidden deep within the toy in a chew-proof compartment so that they cannot escape and present a choking hazard. Toys that fray or fall apart easily are also not safe. You need to take care when choosing the size of toy for your breed. If your dog could get the whole toy in their mouth, then it is not safe from them. Q: How can I play with a blind dog? A: Games with a blind dog can be a lot of fun. Start off in an enclosed space that your pooch can become familiar with and that is safe. Introduce some enrichment activities such as toys that smell or taste great and that have an attractive texture. Toys that make a noise are also a good idea. Introduce the toys gradually to your pooch by holding them close. Then gradually move them away and encourage your dog to interact with them or to go hunting for them. Toys that contain a tasty treat are a great way to get started because they will attract your dog’s attention. Our top pick has features that will stimulate hearing, smell and touch. It is made from a safe natural material that dogs love to chew and is available in several sizes. There is a squeaker which will stimulate your dog’s hearing and an irresistible smell of bacon so that it can be located easily by dogs that cannot see. The toy is very durable and capable of standing up to a lot of chewing.